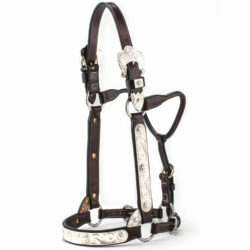 For years, Ralph Harris Halters have set the standard by which all others are measured. The combination of the finest materials, craftsmanship, attention to detail, and innovative features places our halters on the forefront. 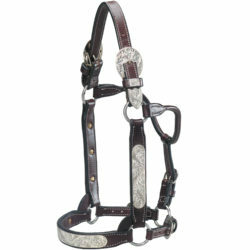 All Harris Halters feature a three-way buckle adjustment under the horse’s chin for a perfect customized fit. The throat latch features a wire core allowing for easy shaping and fit that is easily retained. 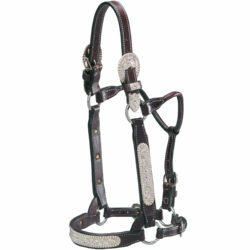 Harris Halters also feature leather corner braces which enhance the overall look and fit of the halter. Stainless steel rings guaranteed not to rust, tarnish or discolor. 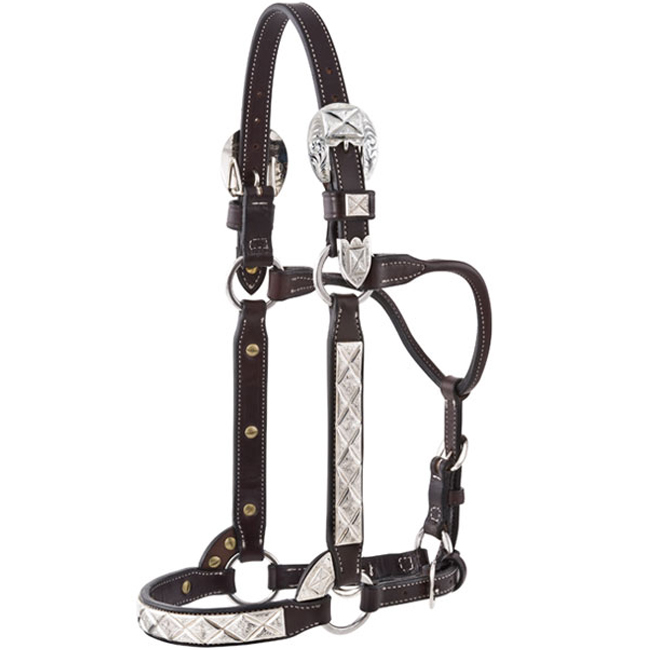 The Hollywood Halter features hand-engraved sterling silver diamond bars on the cheeks and nose along with a matching sterling buckle set and corner braces. 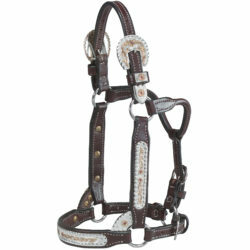 This particular style can be created to fit any size horse.